EXCELLENT FISHING right off your dock! Sailboat water â only 6 miles to the Gulf via the Barge Canal!!! Magnificent residence on 1.45 acre at the tip of the river bend (350+ ft waterfront), custom built in 1996 and well maintained, it comes w/ 5 bed- and 3.5 bathrooms, oversized 2-car garage and a separate bedroom suite w/ its own entry â plenty of room to accommodate all lifestyles. 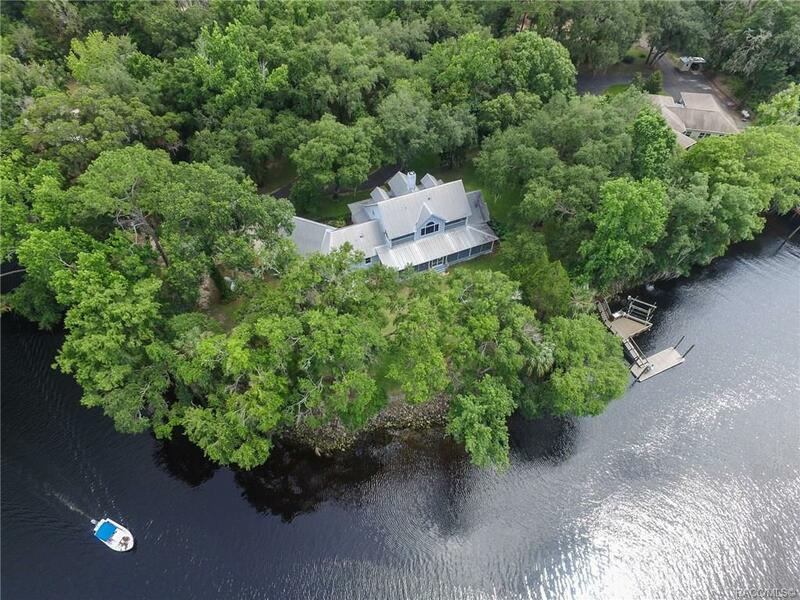 Deck, dock, boat lift, another detached garage & workshop, great water views and tons of privacy w/ the FL Greenway across the river! Close to bike & horse trails, too. Quiet homes only community, close to hospital & med. facilities. Convenient commute to Ocala and Gainesville. Directions: Us-19 North, R On Basswood, R On Riverwood, L On Dawnflower, L On Deodar, R On Sunflower, Home At End Of Cul-De-Sac. © 2019 Citrus County Board of Realtors. All rights reserved. Information deemed to be reliable but not guaranteed. The data relating to real estate for sale on this website comes from Citrus County Board of Realtors and the Broker Reciprocity Program.sm. Real estate listings held by brokerage firms other than RE/MAX Realty One Crystal River are marked with the BR logo and detailed information about them includes the name of the listing brokers. All measurements and all calculations of area (i.e., Sq Ft and Acreage) are approximate. Listing broker has attempted to offer accurate data, but buyers are advised to confirm all items. Information last updated on 2019-04-23.